Join the Gardens at Gantz volunteers as they celebrate the 26th annual Gardens at Gantz Herb, Perennial and Landscape Plant Sale from 8:30 a.m. to 2:30 p.m., Saturday, May 11 at Gantz Park, 2255 Home Road. Due to park construction, the sale is in the Gantz Farmhouse parking lot. This is a rain or shine event. 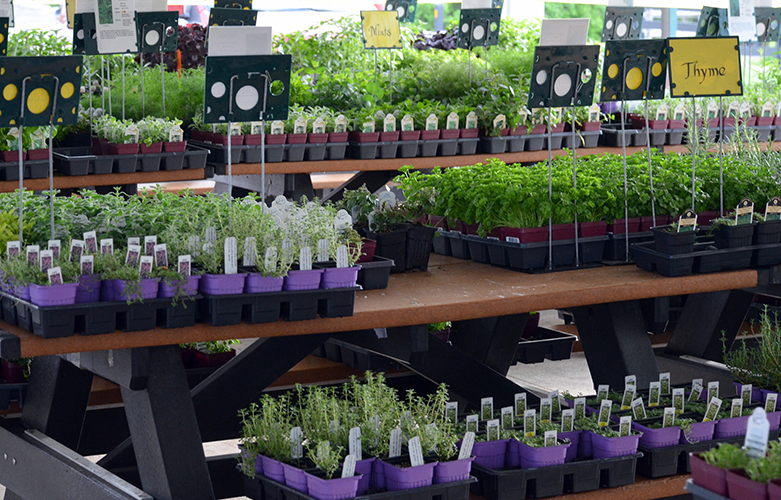 Browse a wide variety of culinary and landscape herbs, native perennials, rain-garden plants and more. The Grove City Tree Commission in conjunction with Five Springs Farm Nursery & Landscaping and Hickory Lane Farms offer a selection of trees and bushes. Volunteers are on-site to answer gardening and tree care questions. Cash, checks and credit cards ($15 minimum) are accepted at the plant sale and cash or check payment only at the tree sale. Proceeds benefit the Gardens at Gantz Farm volunteers, celebrating 28 years of dedication and cultivation to garden improvements, youth and adult education and book donations to area schools.